On May 14, 2018, Oleg Sentsov went on an indefinite hunger strike, demanding the release of 64 Ukrainian political prisoners held by Russia in pre-trial detention centers and penal colonies. Today marks the 16th day of his hunger strike. Four years earlier, in May 2014, the Russian Federal Security Service arrested the Ukrainian film director Sentsov along with a dozen of others. Russian officials claimed that all of the detained activists, including Oleg Sentsov, were Russian citizens. Sentsov was accused of setting the United Russia party office on fire; as well as of participating in the activities of a Ukrainian nationalist organization the Right Sector banned in Russia for extremism. In 2015, Sentsov, who is a resident of Crimea, was sentenced to 20 years in prison. In 2016, he was sent to the Russian Arctic region of Yakutia, and in October of 2017 transferred to a maximum security penal colony in the city of Labytnangi in the Yamal-Nenets Autonomous District. This “Polar Bear” colony was established to hold especially violent and dangerous criminals. Its prisoners are forced to work in 12-hour shifts, in violation of the Russian labor law. The hard labor manual projects usually include making chicken-wire, cinder blocks, barb wire and other construction materials. At least two of the colony’s executives have been under criminal investigation for corruption and abuse of authority. Among violations continuously reported by prisoners is physical abuse and torture. 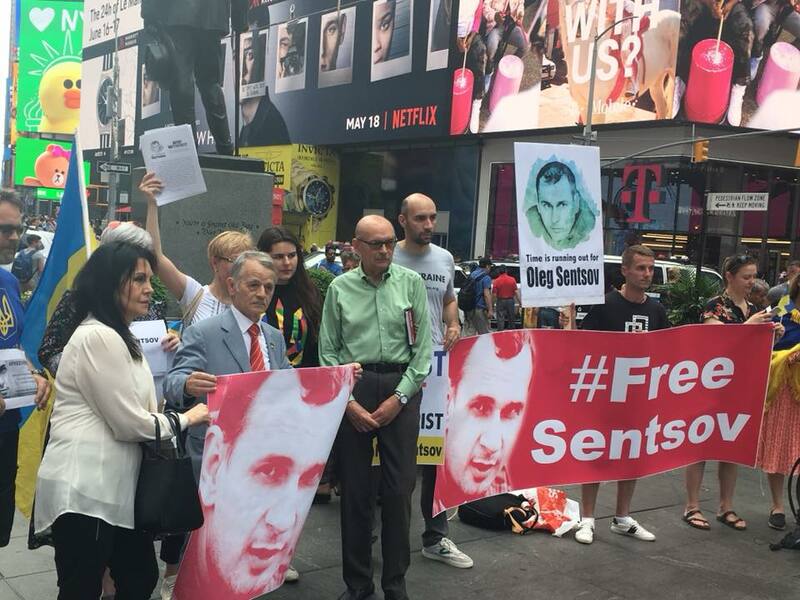 Sentsov’s story is just one of the many reported and documented instances of horrific violations of human rights unleashed on the inhabitants of the Crimean Peninsula in the aftermath of its invasion and annexation by Russia. Since 2014, the Office of the United Nations High Commissioner for Human Rights (OHCHR), has received many of such complaints, and while their biggest spike was in 2014, the number is growing again. In 2014, 21 people were abducted in Crimea by the Russian proxies. More than 10 persons abducted between 2014-2016 are still missing. Other crimes reported in Crimea are arbitrary arrests and detention, most for political purposes of neutralizing and intimidating opposition and dissent. Russia has labeled extremist and abolished the regional ethnic legislative body of the indigenous Crimean Tatars, the Mejlis. Russian annexation of 2014 has plunged the entire peninsula into a new reality of totalitarian repression. With Russian military, however, came Russian business. The position of the E.U., U.S., and Canada toward such ventures has been clear from the start. Sanctions have been introduced against a number of Russian individuals and companies operating in Crimea. 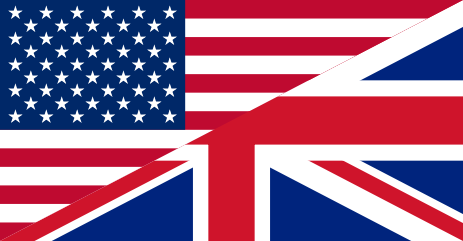 Western businesses are explicitly banned from association with those on the sanctions list. 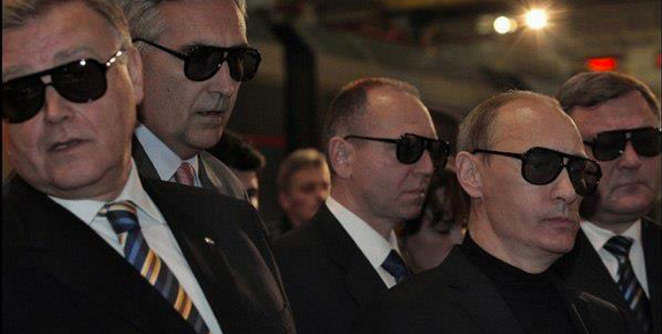 They are also banned from investing in Crimea, or any of the related energy, transport, tourism projects. On November 18, 2015, Colliers International signed a Federal contract with Russia’s Vnesheconombank worth 2.3 million rubles ($36,800) to provide marketing research services for repurposing of historic buildings in St. Petersburg for a hotel complex developed by the Mandarin Oriental Hotel Group. This deal was signed against the backdrop of two students detained by the FSB in Crimea on November 19, 2015 for reportedly vandalizing billboards with portraits of Putin. Around the same time, on November 24, 2015, the Military Collegium of the Supreme Court has sent two other Crimean residents, Oleg Sentsov and Olexander Kolchenko, to prison for 20 and 10 years respectively. On November 11, 2016, Colliers International signed another state contract worth 1,18 million rubles ($18,430), this time with the Simferopol International Airport of Crimea. The contract was to perform analysis of economic feasibility of establishing an office center in the new terminal of the airport. The new terminal opened in April 2018. Colliers International performed this contract as Russian forces conducted mass raids and unwarranted searches of the homes of Crimean Tatars (on November 17, 2016) and detained their community leaders. 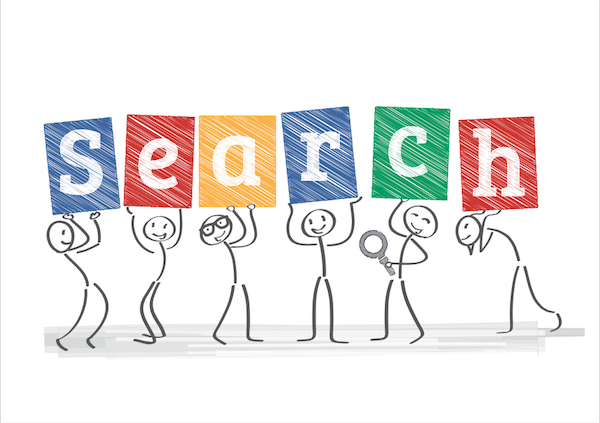 These searches have been documented and publicized by Ilmi Umerov, Deputy Chair of the Tatar Mejlis. On November 14, 2016, persons who presented themselves as agents of the Russian FSB and officials from the Crimean Prosecutor Office, yet failed to produce a legal warrant, cut off electrical power, raided and searched the Khan Dzhami mosque in Evpatoria. The imam of that mosque was accused of storing and distributing literature banned in Russia. Subsequently, he became the target of a smear campaign carried out in the local press. On August 15, 2017, Colliers International, signed yet another state contract with Vnesheconombank, this time to provide business management consulting services. The contract was worth 2.95 million rubles ($ 50.000). 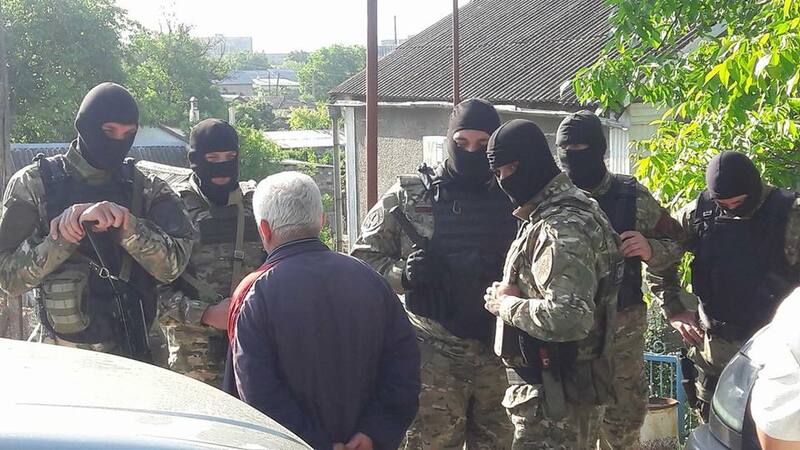 This happened a day after several Crimean residents, including Lilya Gemeji, had been arrested in Simferopol for solitary pickets in support of the arrested Server Karametov. A week later, on August 24, 2017, two Ukrainian Cultural Center associates Halyna Baloban and Olena Popova were detained and searched by police at the Simferopol train station. The two were suspected of engaging in illegal activity of celebrating the independence of Ukraine. Now, just what type of companies are the Collier International, LLC and its partners? Two companies are registered in Russia under the name of Colliers International LLC, — one in Moscow with registration number INN 7728150075, and another in St. Petersburg, registered under INN 7825453815. Both are owned by Cyprus Checot Holdings Ltd and are part of the Canadian Colliers International, which operates over 500 offices worldwide and specializes in commercial real estate services. The Bank Rossia, which operates the airport in Simferopol, has been on the list of entities sanctioned by Canada and the E.U. since March 2014. The Russian state-owned Vnesheconombank has been on the sanctions list since July 2014. Attempts by the Municipal Scanner to contact a Colliers International office in Moscow and clarify its corporate position on violation of the E.U. and Canadian sanctions law have yielded no response. Arkady Rothenberg: Cyprus is ours! How Arkady Rotenberg avoided sanctions. Part II – Latvia.